Demos to the Wall of Power in CalPlug in the Light Symposium. Register TODAY! NEW addition to the Light symposium: CalPlug joins us in celebrating light-based technologies! Demo visits at CalPlug Wall of Power. 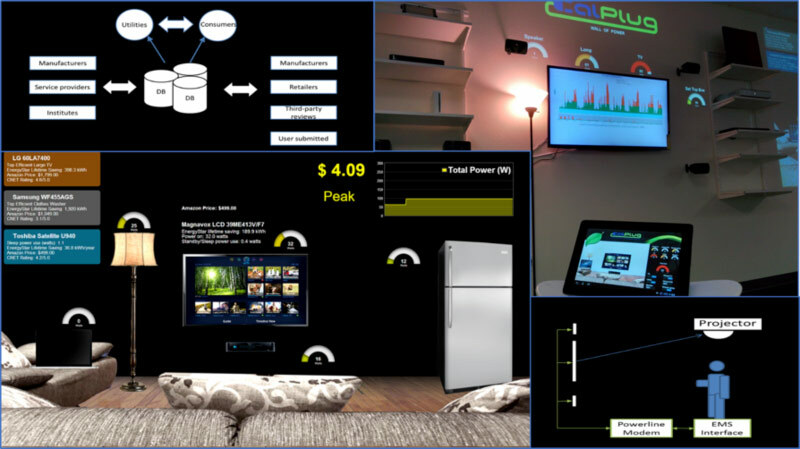 Discover the efficiency of house appliances: lamps, TVs, video-game stations, etc. Two demo sessions available on Monday May, 4, 2015: at 1pm and at 2pm to visit the Wall of Power. Register here today! Beautiful prints from the international “Light: Beyond the Bulb” exhibit will be shown as the inaugural event for the campus-wide Illuminations initiative, which seeks to create links between the sciences and arts. For more information on Illuminations, follow the link. For the third year, Photonics@UCI participated in the San Diego Festival of Science and Engineering. Just like the past year, we shared a large booth together with our friends at the Optics Institute of Southern California. We handed out all the Spectrobox kits that our friends at UCI helped us prepare and taught many young and eager students about the visible spectrum and how to make rainbows. Our Kaleidoscopes were also a huge success: children of all ages lined up to build their own color-pattern tubes. We also helped teach the students about how light interacts with molecules through the mobile app/game “Bond Breaker” produced by CaSTL. The last demo, which became a huge hit, was a simple but impressive optical illusion involving floating fake frogs. Many minds were blown. A demonstration and explaination of this illusion can be viewed here. Meanwhile, on the table next to us, the Optics Institute of Southern California showcased the laser-wielding mobile robot Sparky the Optobot – the creation of Cory Hague from Irvine Valley College. Photos of this event, thanks to Donn Silberman, can be found here. A portion of them are shown below.